Legendary UCLA basketball coach John Wooden was famous for saying "failing to prepare is preparing to fail." In any sport, the work done before a game directly influences the effort during the game. But practicing on-ice skills and improving athleticism aren’t the only things vital to success when it comes to hockey. Nutritional training and eating well to prepare the body for a game or practice is just as important. Eating the right type of foods and drinking the right fluids can be the difference between a good game or practice and a bad one. However, for young players and parents rushing to and from the rink, proper nutrition is often easy to overlook. Additionally, there is no one-size-fits-all solution. 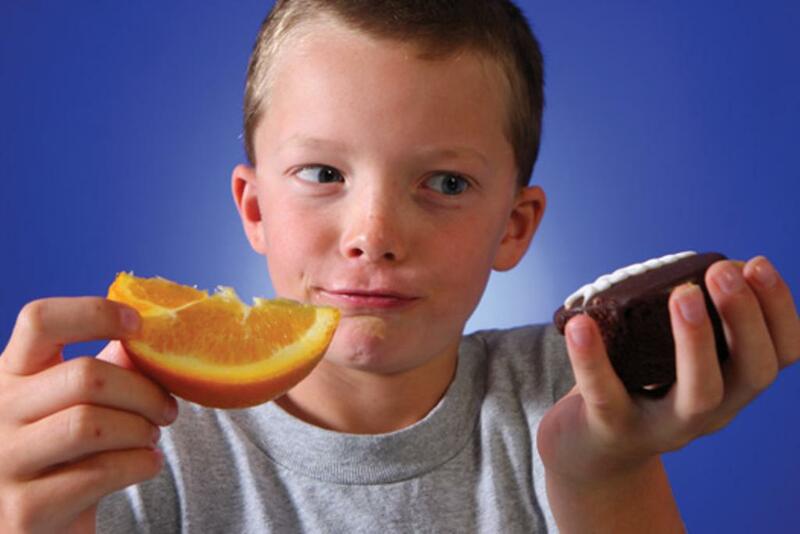 Young men and women playing in different age groups will respond differently to certain foods. Clark points out that greasy foods—a favorite among kids—are harder to digest. They can result in a child quickly losing energy during practice or a game. So, she recommends avoiding those foods around competition. “The kids will learn too,” she says. “They'll see what helped them and learn not to eat certain things before a practice or a game." The type of food and fluids that helps young people excel in an intensely physical sport like hockey are those that offer a boost of energy without excessive sugar or fat. It’s also important to remember that meals following strenuous exercise are as important as those before it. "After a game, I suggest eating something packed with protein," says Clark. "Say chocolate milk and peanut butter. These help the body recover and build on the workout they just had in the practice or a game." As a parent looking to emphasize healthy foods and drinks that will help your child succeed, it's important to think ahead. If your schedule includes early morning or late-night practices, planning ahead and developing a healthy food routine is even more critical. It will help you avoid those last-minute trips to rink vending machines or fast food restaurants, Clark notes. "My daughter is a hockey player, and she has a lot of early-morning practices and games," explains Clark. "For parents in this situation, getting breakfast ready for the morning so you can just grab it and go will help get on that schedule. Things like fruit, granola bars, and even a bowl of oatmeal are all easy to digest and create the type of energy hockey players need." In terms of hydration, water is the best bet, Clark says. Some sports drinks can offer a lift, particularly after exercise that last longer than an hour, but most of time, the best way to hydrate the body is to simply drink water. "Energy drinks are really just stimulant drinks," Clark says. "They don't create energy. They just have stimulants. Hydrating with water or juice beforehand then maybe a sports drink during or after is the best way to stay hydrated." Still, there is no single right answer for every young hockey player’s tastes. Adopting a nutrition routine that a child will actually accept is the first step. Once they see positive results, it will make it that much easier for them to stick to it. 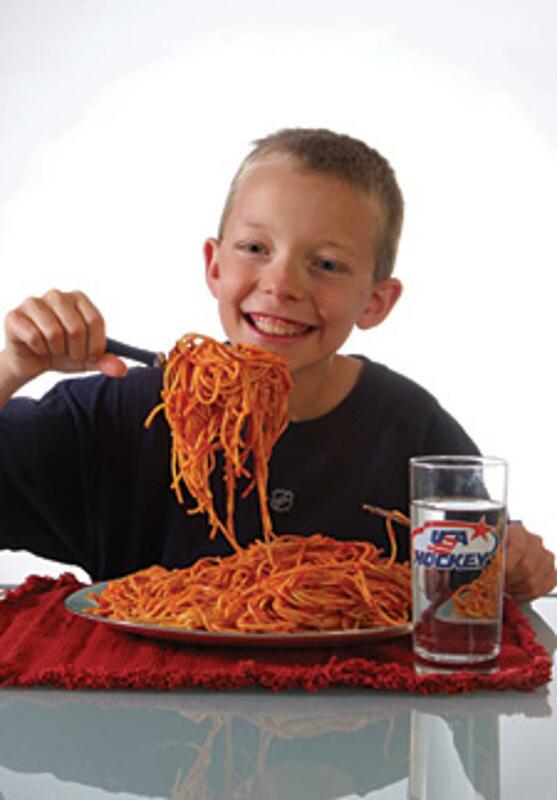 As children grow and advance through different levels of hockey, their nutritional needs don't change too drastically. However, this same type of routine, with some minor modifications, can be used all the way through when they become teenagers and young adults. The hours spent becoming a better skater or mastering shooting and passing are critical to a hockey player's success during a game. However, just as important are those few moments deciding what to eat or drink before and after you come off the ice.